The Tasman Glacier flows among the biggest mountains in New Zealand. Known for its spectacular ice formations, this 30 km long glacier is the longest in the country. 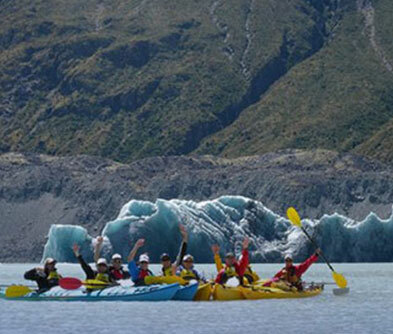 The flight takes you to the remote and inaccessible parts of the glacier, past the famous Hochstetter Icefall and the Eastern Face of Mount Cook. 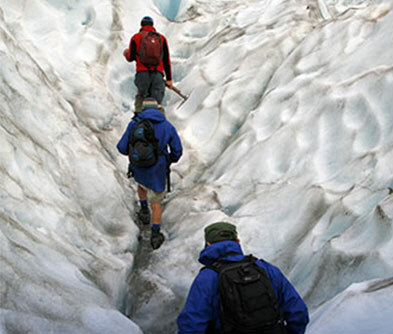 With crampons on and with expert advice, you can walk on the glacier, see bottomless crevasses, seracs (ice towers) and sink holes. Better still, find an ice cave, with its blue-white colouring and marvel at this gargantuan masterpiece created by fiery and rival forces of nature. 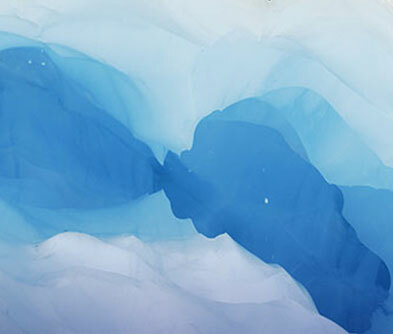 The Tasman glacier’s fingerprints are all over the Tasman lake, with floating ice bergs speckling its surface. In winter, Tasman is a particularly favoured Heli-skiing site.